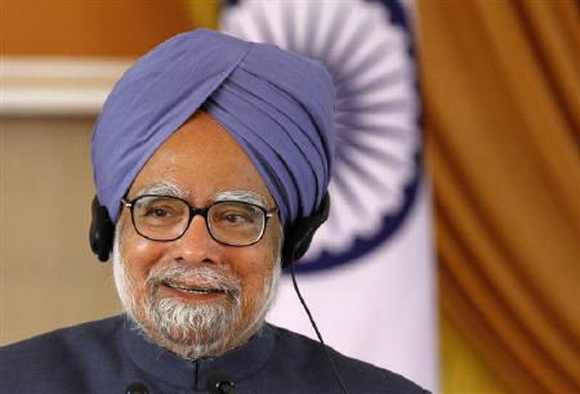 Amid the April-June quarter growth slipping to 5.5 per cent, the lowest Q1 growth in a decade, Prime Minister Manmohan Singh on Friday strongly pitched for creating conducive climate to boost investment and economy. Blaming "lack of cohesive coordination" in domestic politics as one of the factors hampering growth rate, he said the government would make efforts to improve upon the growth performance of 6.5 per cent (in 2011-12) and create an environment conducive to growth of saving and domestic investments. BJP leader Yashwant Sinha, expressed concerns over the current "gloom and doom" scenario and underlined the need for a "well thought-out revival policy" for growth and to speed up enactment of financial reforms bills. The growth rate in the first quarter (April-June), according to the data released by the government earlier in the day, slipped to 5.5 per cent from 8 per cent in the corresponding period in the last fiscal, due to flat growth in manufacturing, mining and quarrying sectors. The data of eight key infrastructure sector industries including steel, cement and petroleum revealed that growth rate in July slipped from 8.2 per cent to 1.8 per cent, the the lowest in the last nine months. Commenting on the GDP data, Finance Minister P Chidambaram said, "...the decline of fixed investment is source of concern to the government. It emphasises once again the need to take quick decision to accelerate investment, especially removing all bottlenecks to investment in the manufacturing sector." According to the Prime Minister, "we should count our blessings" that despite global economic crisis the country was growing at 6.5 per cent. "There is a big economic crisis and even after that we have been able to maintain 6.5 per cent growth rate" at a time when the US is only talking about 2 per cent growth rate and Europe is talking about 0 per cent, he added. The Prime Minister said that he would have liked to lay a foundation for nine per cent growth rate but international events have not helped. "But lack of cohesive coordination in our domestic politics has also been a factor," he said while spelling out factors that hampered higher growth. Noting that there were several difficulties in bringing in "Goods and Services Tax", which would have helped in improving the GDP by 1-2 per cent, he said it would have also streamlined the country's tax system. Fortunately country's domestic savings and investment rates are still very high and if the climate to improve industrial infrastructure like railways, telecommunications, and roads was created, growth can be pushed forward, he said. The Standing Committee in its report, which was tabled in Parliament yesterday, had said that it looked forward to clarity and consistency in policies and regulations so that investors, especially foreign, do not shy away from investing in the country. The Committee's call for speeding up enactment of pending financial reforms bills include those relating to pension fund, insurance, banking and Direct Taxes Code and the companies law. The Committee has already given its reports on these Bills.